Great dealership, just bought my second vehicle from here. My family has been buying vehicles here for many years. Top notch service department, nothing gets overlooked. If your looking for a new or used vehicle go See Michael. Great experience at Peake. Michael was great to work with, easy deal and transaction. Michael even picked me up at home to get my new car. Looking forward to a top down summer. See Michael and get yours. 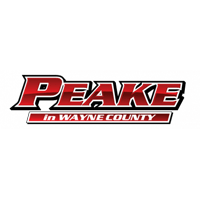 Peake Chrysler Dodge Jeep Ram FIAT works hard to be one of the best car dealerships in Rochester, Syracuse, and Finger Lakes region. We are committed to providing quality customer service in all of our departments. At our dealership, you can find a large new vehicle inventory as well as a vast pre-owned inventory with used vehicles from manufacturers of all makes and models such as Chevrolet, Ford, Toyota, Nissan, and more! At Peake Chrysler Dodge Jeep Ram FIAT we make it our business to ensure you find the perfect vehicle at the right price. It is important to keep up with the Factory scheduled maintenance for your vehicle and our service technicians can help keep your car running in excellent condition. If your vehicle needs routine maintenance like an oil change or tire rotation, you can use our Express Lane service. No appointment is needed! Come in whenever is convenient for you. We have also compared our Dodge, Chrysler, Jeep, Ram and FIAT vehicles to the competition to help you decide which vehicle is best for you. If you have any questions please give us a call, stop by the dealership, or fill out a contact form. We are conveniently located in Sodus, NY.